Yes, the first thing nearly every coach preaches is pass first, pass first, pass first. There’s a reason for that: Every single offensive action you could possibly take, whether in serve receive or defense or waiting for the beloved free ball, begins with the pass. Yet it’s the second – and likely most underrated – portion of the play that is most crucial: the set. It doesn’t much matter if your partner is the greatest or worst passer in the world if you can’t set. A good setter makes life easier on his partner. A great setter makes in system passes almost a lock for a side out. An exceptional setter turns out of system plays in system – a nightmare for good servers and the opposing defense. Name one sport – just one – where precision is key and you don’t face your target. When shooting a basketball, you face the hoop; throwing a baseball, you finish with your arm towards the target; golf you rotate to the point that your bellybutton is facing exactly where you want the ball to end up; tennis, same thing. This will not only invariably make the set more accurate, but it’ll show your partner exactly where you’re intending the set to end up, making the approach and ensuing side out easier and more consistent. Given that first piece of advice, this shouldn’t be too surprising. If you’re on the net, and therefore setting sideways or backwards, you’re not going to be facing your target. Be patient with your partner’s pass, stay off the net, face your target. You may have thought you just dished some I Can’t Believe It’s Not Butter – but your partner may have thought otherwise. Talk after every point, whether your partner sided out or not. The more you communicate, the more you can dial in the exact set they need, the more points you score, the more you win games, the more you win matches. This is the easiest skill in the game to practice, because all you need is a living room, a Netflix binge, and a ball. Phil Dalhausser perfected his hand setting while watching movies. Now he’s the best setter in the world. Bring a ball with you wherever you go – work, your bed, living room, waiting for your crock pot to finish that sweet barbeque chicken you love – and set. Windy days cause the spinless – hopefully – hand sets to drift and dance and wiggle. On breezy days, it’s useful to be equipped with a bump set where you can intentionally throw top spin on the ball to hold it in place rather than having it ripped this way and that. a. The most efficient drill in beach volleyball: triangle setting. One hitter, one passer, one setter. 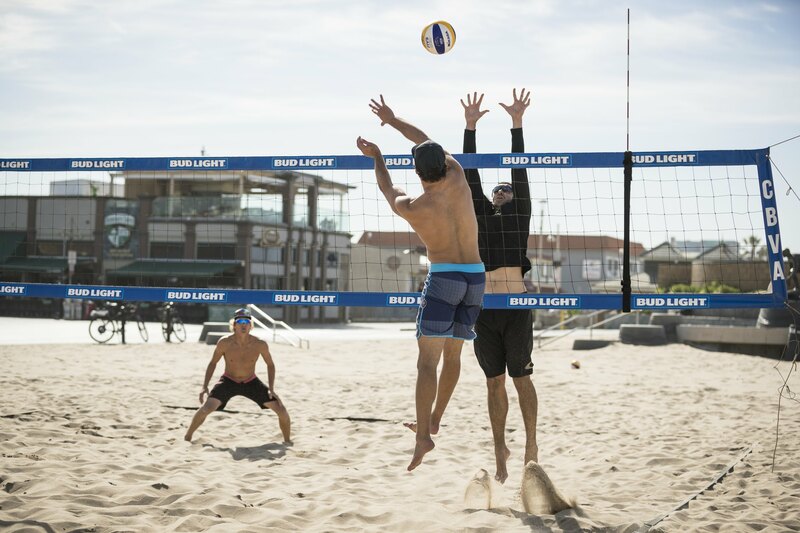 Warm up with 10 bump sets and 10 hand sets on the left and the right – you’re going to have to play both, you may as well learn how – and you’ll be saucing in no time. While the theatrical sets look cool on YouTube and Instagram, they aren’t very useful. The more boring your finish on your set is, the better and more consistent it’s going to be. Finish with your shoulders and belly button still facing your target. Yes, bouncing balls in hitting lines looks awesome. It just doesn’t look so awesome when your trap set your partner looking for the glory bounce and it gets roofed 15 times. Give your hitter some room, no less than three feet off the net. If they can’t hit it from that far off, then your team has something to work on in practice. Yes, a key to being a good setter is being humble enough to understand that, sometimes, your sets aren’t going to be a juicy three feet off the net, and it’s your job to bail them out when you put them too tight. TRY THIS DRILL at every practice. Trust me when I say EVERY PRO does this drill on the regular.